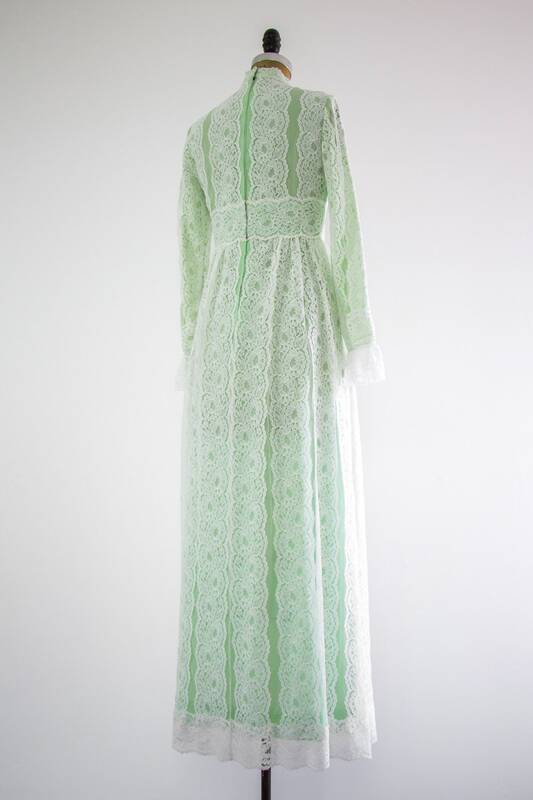 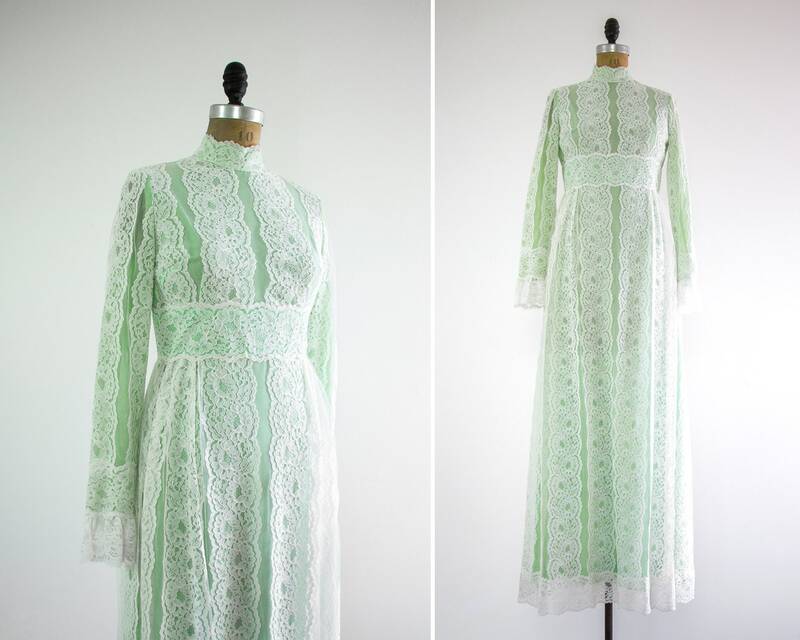 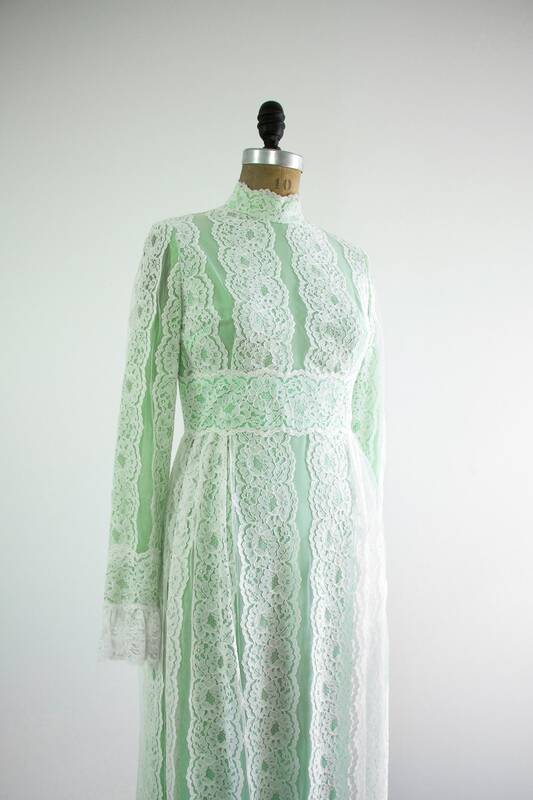 Vintage 1960s couture mint green dress. 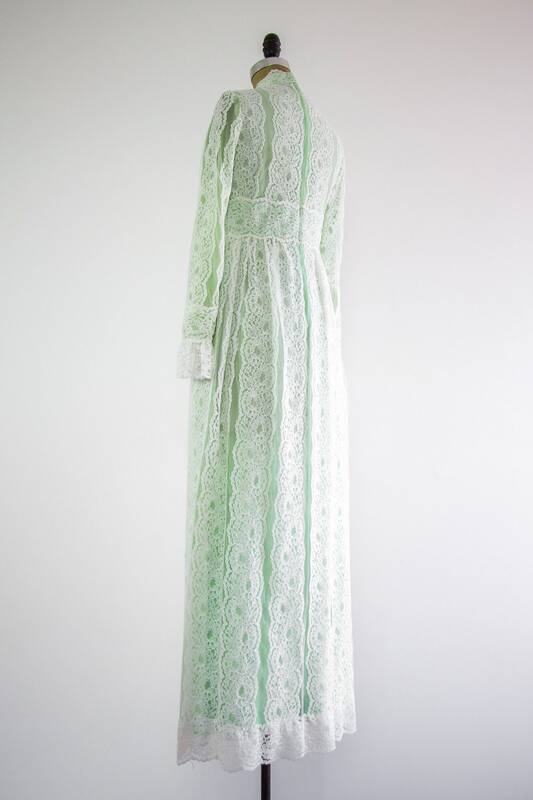 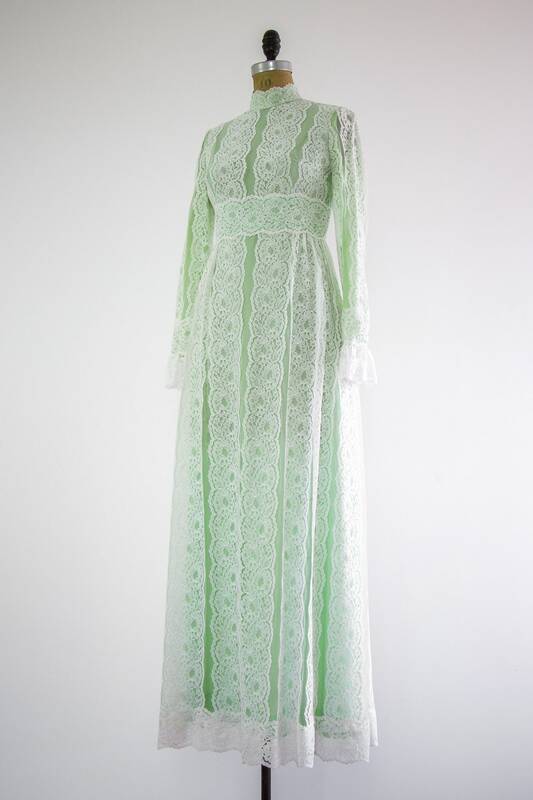 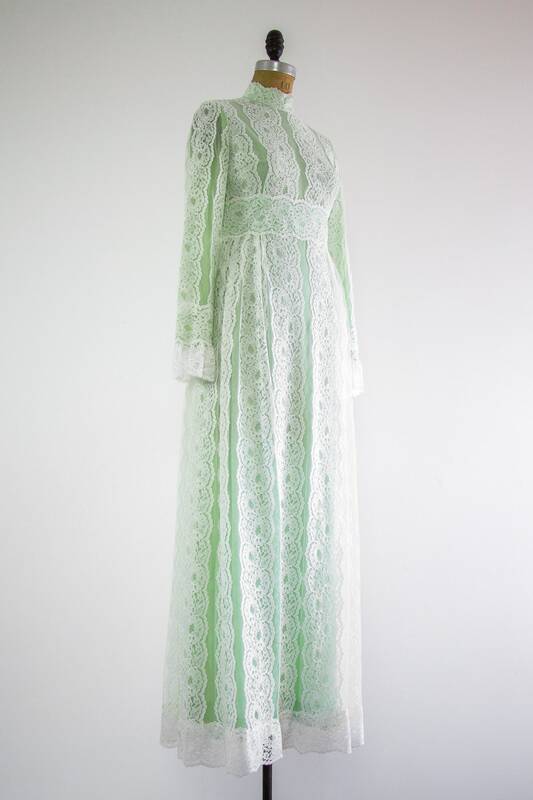 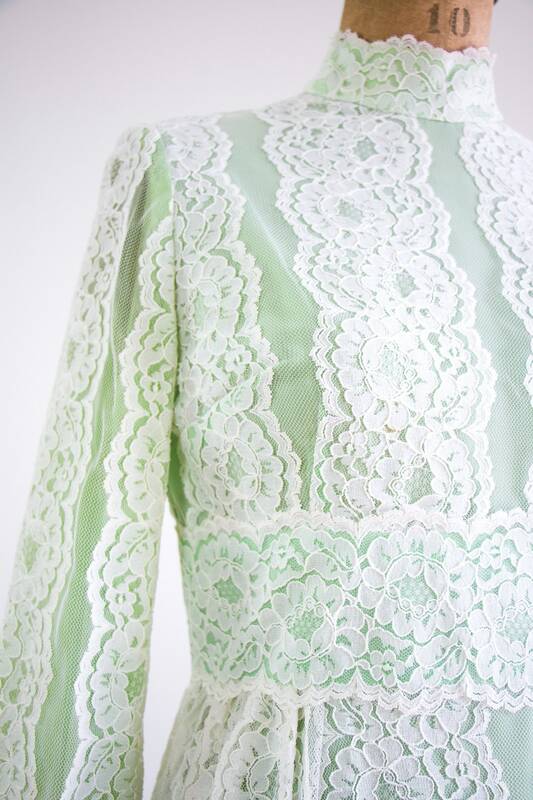 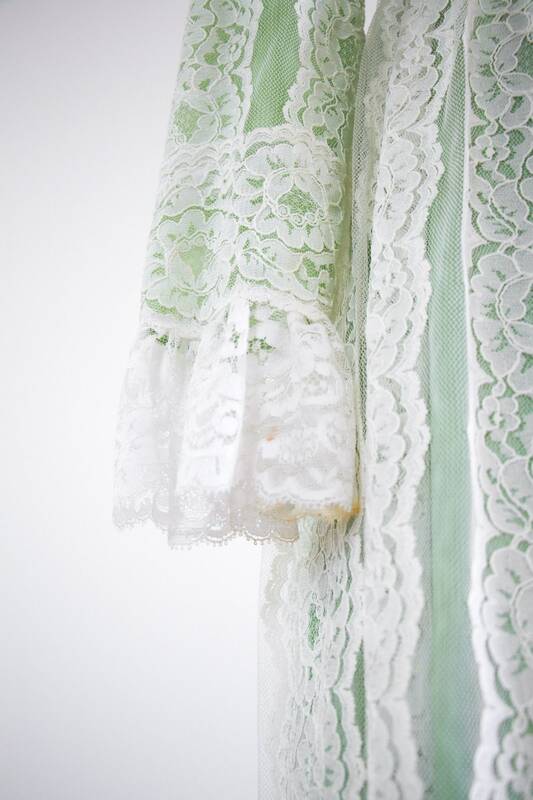 Made of netted floral white lace layered over mint green. 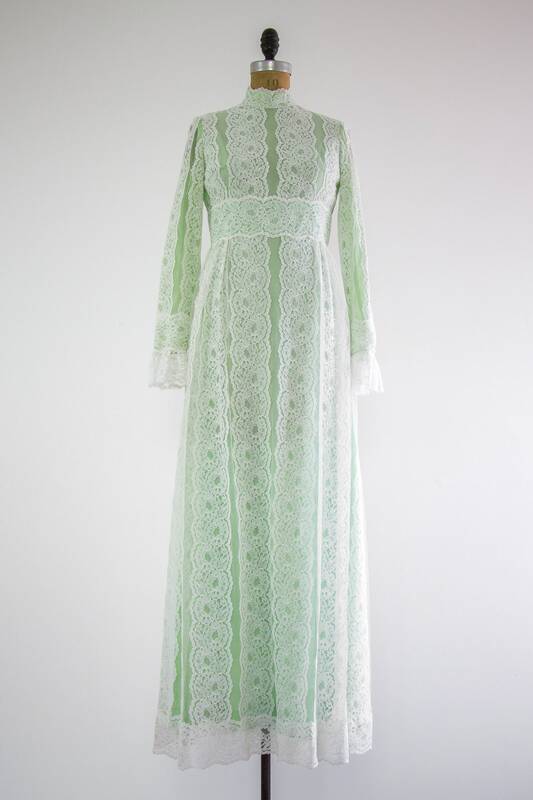 Maxi / floor length and has long sleeves with ruffled cuffs and a mockneck neckline. 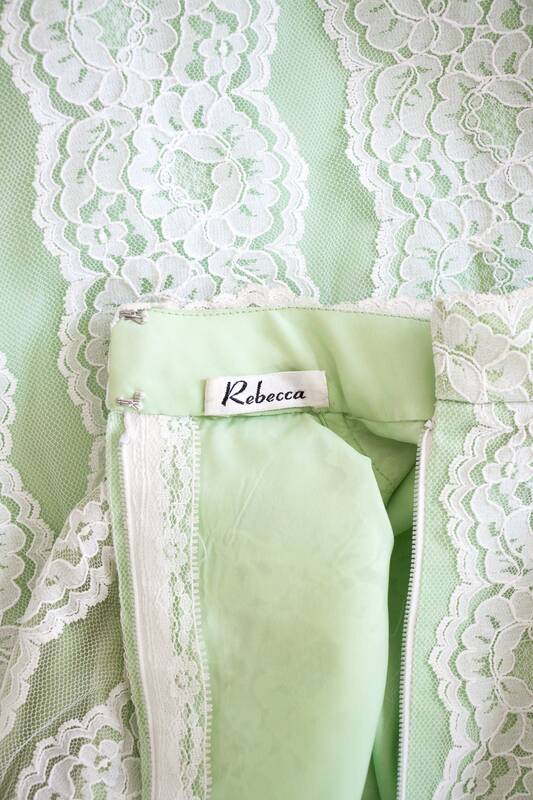 Zips up the back with hidden hook and eye closures.